Jefferson F. Calico is Associate Professor at the University of the Cumberlands, where he teaches a variety of courses in Religious Studies. Contemporary Paganism has been a growing segment of American religiosity for over forty years and is composed of a variety of groups, practices, and ideologies. Ásatrú (Asatru), a movement that seeks to revive the practice of pre-Christian Norse religion, remains one of the least studied of these Pagan movements despite its growing prominence in the Pagan community. Being Viking provides a rigorous ethnographic account of the Asatru religion in America, also known as Heathenry or Heathenism. Arising from five years of original ethnographic fieldwork among American Asatru adherents, the book expands our understanding of this religious movement by providing a comprehensive analysis as part of the American religious context. Asatru is a reconstructionist form of contemporary Paganism, deriving its sacred stories, polytheism, and religious culture from an interaction with the ancient Paganisms of pre-Christian northwestern Europe. Yet, contemporary tributaries shape the movement’s reception of the past and its enactment of the ideas and practices discovered there. American Asatru encompasses a diversity of approaches and offers a distinctive counterpoint to some of the characteristic patterns of religious life found in other forms of contemporary Paganism. Being Viking examines the complex interaction of new and old that influences Asatru symbolism, spirituality, and social organization. In addition to describing its rich religious ideology, Being Viking sets the movement within the context of contemporary American culture. Scholars have recognized that new religions offer alternative solutions to the felt tensions of society. Using this paradigm, Asatru is seen as a movement that provides creative religious solutions to the tensions experienced by modern Americans. This study addresses several of those points, including the socially isolating effects of modernity, women’s roles, epistemology, and human relationships with nature. Asatru draws on ancient Norse ideas and practices to create new modes of living in the modern world that seek to create meaning and deepen the lived experience of its contemporary adherents. Asatru is in the process of emerging as a viable and complex religion that achieves a degree of cultural continuity by reinvigorating certain American values. In this light, Asatru is a new American religion that incorporates and adapts important cultural values while at the same time challenging some scholarly assumptions about new religions. 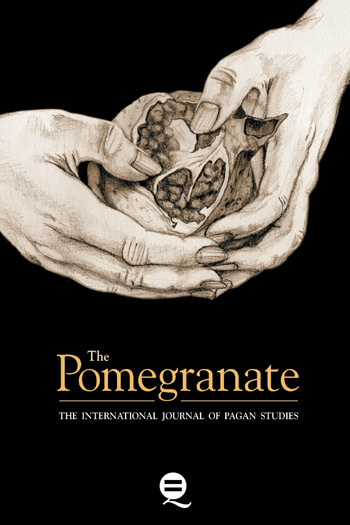 Contemporary Paganism has been a growing segment of American religiosity for over forty years and is composed of a variety of groups, practices, and ideologies. Ásatrú (Asatru), a movement that seeks to revive the practice of pre-Christian Norse religion, remains one of the least studied of these Pagan movements despite its growing prominence in the Pagan community. Being Viking provides a rigorous ethnographic account of the Asatru religion in America, also known as Heathenry or Heathenism. Arising from five years of original ethnographic fieldwork among American Asatru adherents, the book expands our understanding of this religious movement by providing a comprehensive analysis as part of the American religious context. Asatru is a reconstructionist form of contemporary Paganism, deriving its sacred stories, polytheism, and religious culture from an interaction with the ancient Paganisms of pre-Christian northwestern Europe. Yet, contemporary tributaries shape the movement’s reception of the past and its enactment of the ideas and practices discovered there. American Asatru encompasses a diversity of approaches and offers a distinctive counterpoint to some of the characteristic patterns of religious life found in other forms of contemporary Paganism. Being Viking examines the complex interaction of new and old that influences Asatru symbolism, spirituality, and social organization. In addition to describing its rich religious ideology, Being Viking sets the movement within the context of contemporary American culture. Scholars have recognized that new religions offer alternative solutions to the felt tensions of society. Using this paradigm, Asatru is seen as a movement that provides creative religious solutions to the tensions experienced by modern Americans. This study addresses several of those points, including the socially isolating effects of modernity, women’s roles, epistemology, and human relationships with nature. Asatru draws on ancient Norse ideas and practices to create new modes of living in the modern world that seek to create meaning and deepen the lived experience of its contemporary adherents. Asatru is in the process of emerging as a viable and complex religion that achieves a degree of cultural continuity by reinvigorating certain American values. In this light, Asatru is a new American religion that incorporates and adapts important cultural values while at the same time challenging some scholarly assumptions about new religions. An introductory first-person narrative establishes Asatru as both an outlier and a participant in the American cultural milieu. The development of Asatru is set within the larger context of the growing contemporary Pagan movement and three cultural factors for the growth of Asatru in America are discussed. The personal motivations of Asatru adherents are also addressed. The study is framed by the importance of paying attention to new religions, which leads to a greater understanding not only of an alternative religion but also of our society by providing a critique to modern selfhood. What is this book about? The introduction explains the parameters and goals of the research as a comprehensive ethnographic account of the Heathen movement in America. The chapter looks at important factors shaping the movement: numerical growth, class, and religious reconstruction. Heathenry has over forty years of history as an American religious movement. Putting together this history is complicated process to which many scholars have contributed. This chapter provides a distinctive approach and fills in some of the gaps in the narrative, advancing the historical account into the near present. It reflects the author’s own judgment about the personalities and events that have indelibly shaped the trajectory of the movement. This chapter provides a more conceptual overview of Heathenry, using the descriptive metaphor of a watershed to examine the dynamics of the movement and make sense of its diversities. Some observers have discovered an overriding consistency in Heathenry: consistently racist, consistently conservative, or consistently presenting an aggressive masculinity. In my own journey through Heathenry, I discovered an important degree of diversity amidst those trends. This chapter the interplay among the movement’s complex and multifaceted influences. Stephen McNallen is identified by many as the founder of American Asatru. He has had a long-term and significant impact on the movement. This chapter addresses his theory of metagenetics, which frames Asatru as a religion rooted in race and ancestry. Tensions over racial attitudes have figured prominently in the movement, as adherents have struggled to think about their connection to Norse religion. By focusing on McNallen, I attempt to discern the motivations and ideas that have given shape to the debate. This book takes a serious look at the religious dimensions of Heathenry. In this chapter, I examine how Heathens conceive of the self and its relationship to the world. Ideas of struggle, the past, and the soul are important elements in how Heathens envision their place in the world. These concepts are important ideological resources for the construction of a dissenting vision of the human self. At the core of Heathen religious experience are the incredibly potent figures of the gods. This chapter examines Heathen theological approaches, including the contrast between ideas of hard and soft polytheisms. As new polytheistic religions such as Heathenry emerge in societies once dominated by monotheism, it has become increasingly important to understand the dynamics of polytheistic systems. In that context, I examine Heathenry as a developing polytheist culture. One of the core ritual practices of Heathenry is the blót, which venerates divine beings through sacrifice. The chapter primarily focuses on the growing practice of live blót in America, the sacrifice of animals to the gods. I look at sacrifice as an ethical and social critique of the modern food industry. I suggest that the practice has the potential to give rise to urban/rural networks in Heathenry that might sustain a more ethical and ecological approach to eating and community. American Asatru initially idealized the image of the heroic Viking warrior. Over time, family and community life have taken on greater importance. Here, as in chapter 6, the interaction between ideology and ritual becomes important. Sumbel, another core ritual practice, is a socially oriented drinking ceremony. I examine how Heathens interpret and use the sumbel ritual to address issues of family, community, and belonging. Contemporary Paganisms are often understood as predominately magical religions. In some ways, Asatru challenges that perspective by taking a more skeptical approach to magic. 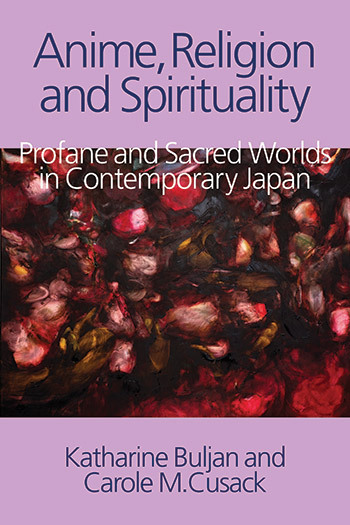 The chapter examines how its intellectual tributaries give rise to a more contested environment of magical practice. Many Heathens draw on the long magical tradition of the Norse and Germanic past to create contemporary magical cultures. Roles such as the völva and the vitki, and magical forms such as seið, have been given new life in the Heathen movement. The natural world runs as an important theme through the experience of Heathens. This chapter begins the process of more thoroughly examining the place of nature within Heathen religious thought and practice. Nature religion is a growing reality as Heathens incorporate animism, strands of Green religion, and sacred experiences of nature. I also consider the potential for a bioregional ecological ethic to emerge from within Heathen culture. Studying a developing religious movement gives rise to questions and speculations about its future. Will Heathenry develop into a more mainstream part of contemporary American Paganism? Or will it take a more exclusive and ethnic trajectory? A second generation of Heathens, who are now children and young adults, is poised to take the religion in new directions. It is delightful to read a book on a new religious movement (with ancient roots) that is so well written, well informed both with regard to present and historical contexts, benevolent and (apparently) comprehensive. 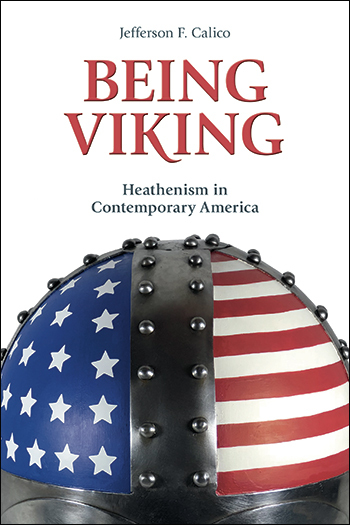 Being Viking is a well-researched, up-to-date and in-depth anthropological study of a small but complex and growing new religious movement in North America. The author engages thoroughly with his first-hand material and keeps an admirable balance between respect and academic critique. This book is a highly original addition to existing studies, and it provides thought-provoking material for discussion and future research. Calico adds to the growing bookshelf of academic work on Ásatrú with a solid review of the existing literature and an engaging narrative of his own experiences as a participant-observer in the new religious movement. Building on the work of Kaplan and Gardell, he paints a detailed picture of several subcultures within the larger set of American Heathen communities.